You can use this form to contact me. If you leave your email address, I can contact you when there are major updates to this site. Please note that this site is NOT affiliated with any of the businesses or organisations mentioned. There is also no affiliation with any government - it is a personal initiative and it's a free resource. If you find this site useful, please recite a Surah al Fatiha for my father, Abbas Ali & my aunt Dr. Kaneez Fatima Zaidi. Unless otherwise credited all the photographs on this site are mine. You are welcome to use them elsewhere, for non-profit purposes, but please credit this site as the source. 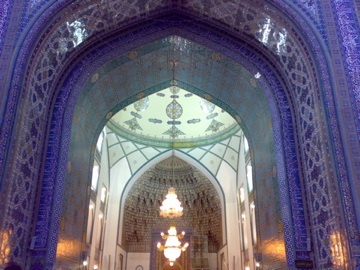 These images are all of the Gauhar Shad Mosque. More about the mosque here. There is updated information in the hotel/travel sections of the site, regarding costs, budgets and contacts who can offer further help. 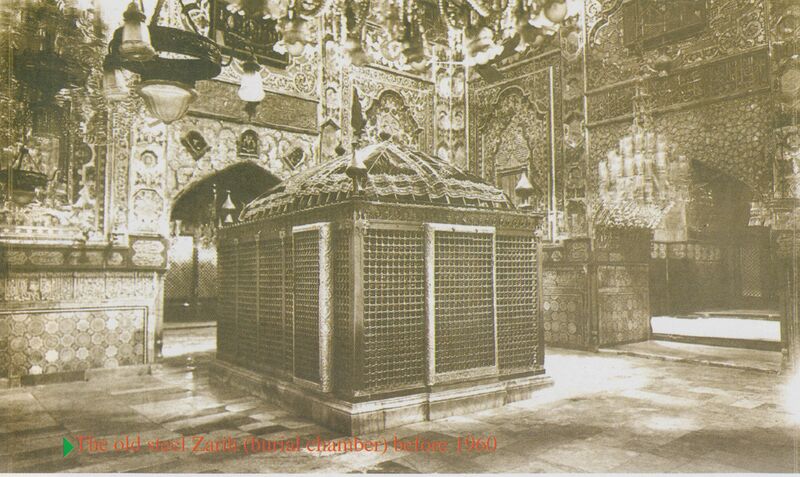 I have found, on the internet, a detailed description of the Shrine and Shrine complex of Imamzadeh Fatima Ma'suma (a.s.). This was written by Bijan Sadaat in 1977 for the Asia Institute of Pahlavi University. Archnet records this organisation as being defunct. I have edited the text from this source and placed it here. I have just had the pleasure of receiving from the Foreign Pilgrim's Office of Astan Quds Razavi, a copy of the text, 'Uyun Akhbar Al-Reza' (The Source of Traditions on Imam Reza (a.s.), by 'Sheikh Sadooq' and translated by Ali Peiravi, 2006. I will used material from this where relevant. Initially I have used some material regarding the biography of Imam Reza (a.s.). I have generously been given a book to include on this site. It is entitled, 'Lives of the Ulema buried in the Holy city of Qom'. Very usefully it has photographs of the graves of the ulema in the Shrine complex of Hazrat Masuma (a.s.) and their associated biographies. You can get this book from the downloads section of this site. 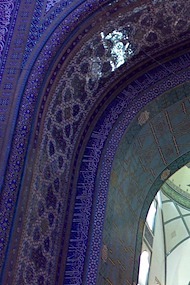 I have done some more research into the architecture of the Gawhar Shad mosque here. 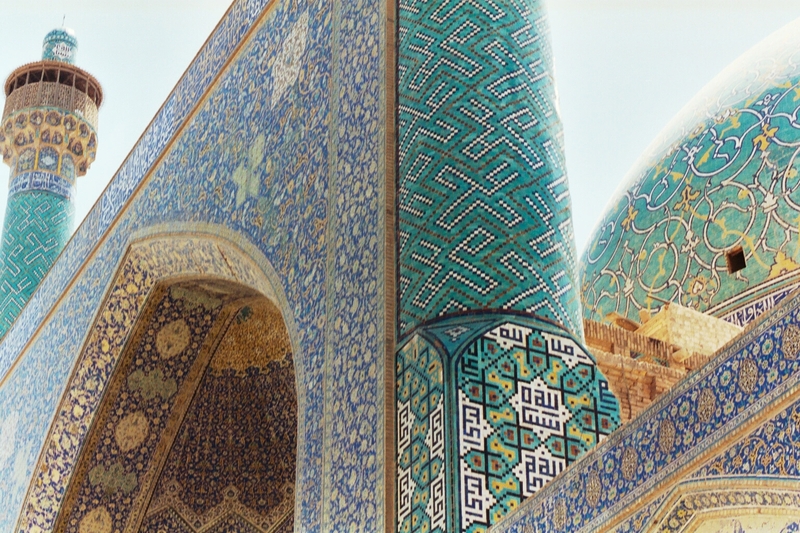 This page also has links to new material on Timurid architecture. The visit by P.M.Sykes to the Shrine in 1910 is written up in a book called, 'The Glory of the Shia World'. I have taken extracts from the book and put them here. A more comprehensive list of hotels and musafirkhanas in Mashhad and Qom. 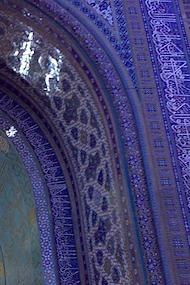 The greater part of the original shrine and the adjoining buildings were destroyed in the tenth century A.D. but Sultan Mahmud of Ghazna, although a strict Sunni, erected a new domed building over the two graves in A.D. 1009; it is said that he erected this building because Ali, the Prophet's son in law and the first of the Imams, appeared to him in a dream and urged him to take this step (Lockhart 1939:25). 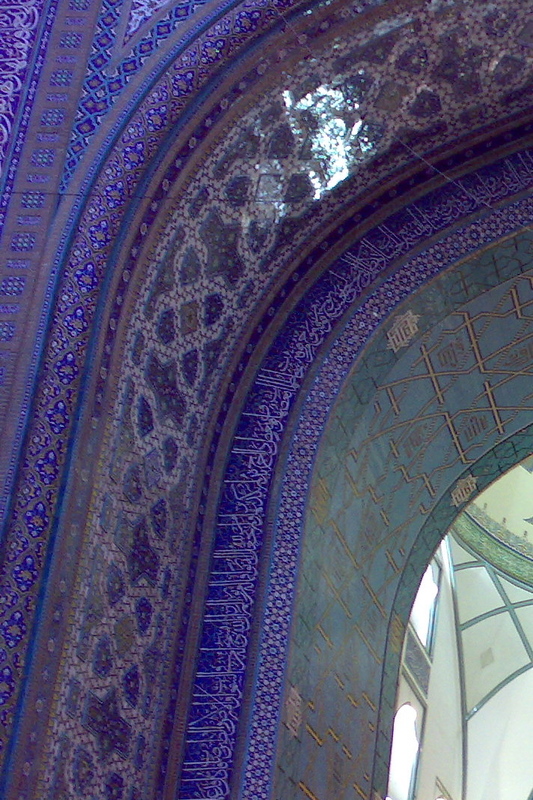 This site has been compiled for Muslims who want to make a ziarat (pilgrimage) to the holy shrines in Iran & also enjoy the cultural delights and scenery that Iran has to offer. Non-Muslims may also find the general travel, historical and architecture information to be of interest. About to leave on ziarat...and just discovered this site? If you are short of time - make sure you get the relevant ziarats, (pdf and audio) and other pilgrimage instructions from the Downloads section. The tabs above will take you to the major pages within this site. Below I have grouped these and other pages into sections containing similar pages. The Basics section has information that you will need before you travel in order to make arrangements regarding transport and accommodation, for example. The Major Ziarats section has information about the major ziarats in Iran. 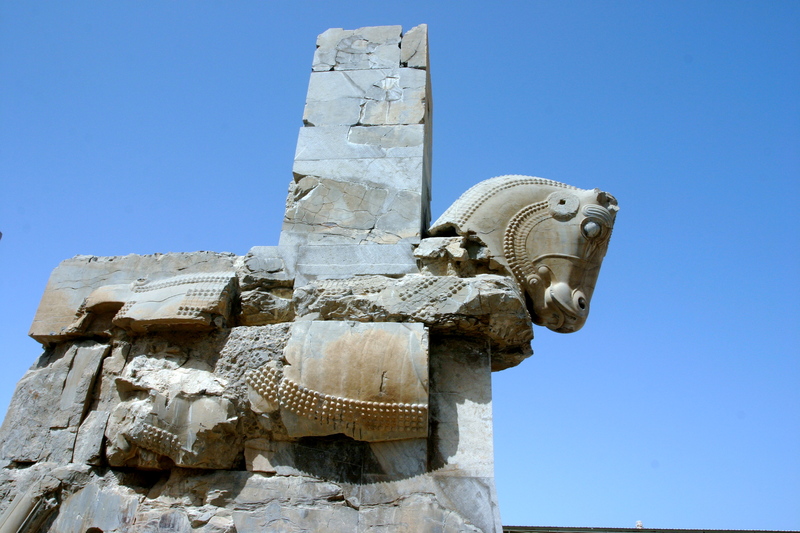 The Cities section has information about sightseeing and minor ziarats in the major cities of Iran. The Photo Collections section draws attention to some specific albums within the site. The Articles section contains links to some detailed articles about the history and background information related to the shrines and Iran. May Allah accept our prayers.